Opening new accounts and writing bad checks. Establishing new credit card accounts and not paying the bills. Obtaining personal or car loans. Changing credit card mailing addresses and charging on your existing accounts. Thieves watch for unattended/unlocked mailboxes and steal mail that would have personalized information. Thieves rummage through trash cans searching for unshredded personal information that they can use or sell. Stolen purses and wallets usually contain plenty of credit/debit cards and personal identification. A thief can and will have a field day by using the victim’s information. Thieves access data that consumers share through phone listings, directories, memberships, etc. Thieves can also purchase sensitive personal information about someone (e.g. name, address, phone number, date of birth, Social Security Number, etc.) from an online broker. Contact the three national credit bureaus (Equifax, Experian and Transunion). 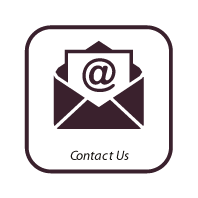 Contact the Fraud Departments of creditors (credit card issuers, phone companies, utilities, credit unions, banks, etc.). What Can You Do To Guard Against Identity Theft? Shred all personal and financial information before you throw it away. Keep your personal and credit union/credit card records in a secure place. Call the post office immediately if you are not receiving your mail. Some crooks are able to forge your signature and have your mail forwarded elsewhere. Limit the number of credit/debit cards and other personal information that you carry in your wallet or purse. If you have applied for a credit/debit card and have not received the card in a timely manner, immediately notify the financial institution involved. Closely monitor the expiration dates on your credit/debit cards. Contact the issuer if the replacement card is not received prior to the expiration date. Review credit reports annually to safeguard your identity. 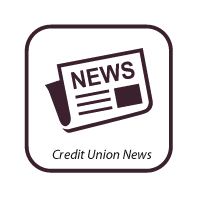 Use passwords on your credit/debit cards, credit union accounts and phone cards. (Avoid using the standard mother’s maiden name, birthdate and the last four digits of your Social Security number). Match your credit/debit card receipts against monthly bills and statements to make sure there are no unauthorized charges. 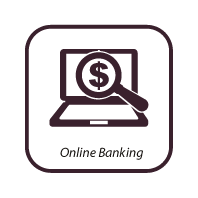 Check account statements carefully to ensure all charges, share drafts or withdrawals you authorized. Call (888)5-OPT-OUT (888-567-8688) if you would like to stop receiving pre-approved credit offers. 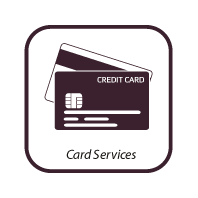 Volunteer any personal information when you use your credit/debit card. Give your Social Security number, credit/debit card number or any credit union account information details over the phone unless you have initiated the call. Leave receipts at ATM’s, financial institution counters or unattended gas pumps. Leave envelopes containing your credit/debit card payments or checks in your home mailbox for postal carrier pickup. Record your Social Security number and/or passwords on paper and store them in your wallet or purse. Memorize your numbers and/or passwords. Disclose account numbers and other personal data on any Web site or online service location unless you received a secured authentication key from your provider.